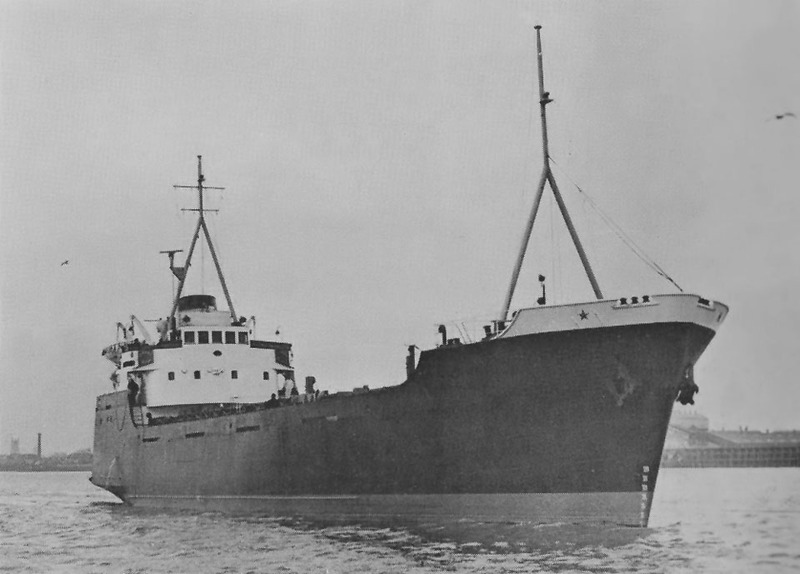 October 1958: Completed and based at Harwich. 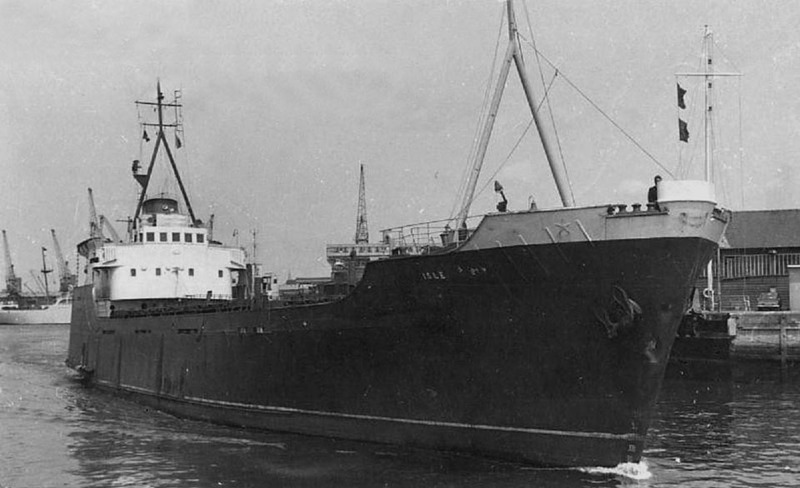 May – June 1968: Converted by Redhead’s to a container-ship. 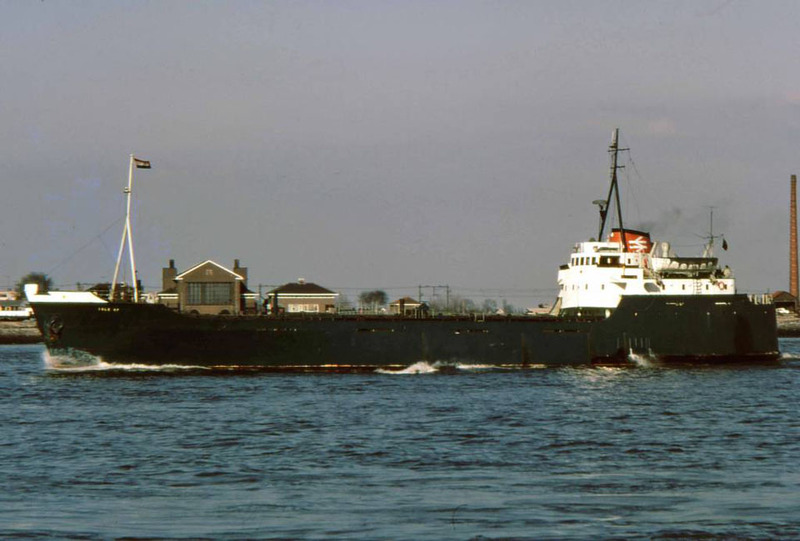 June 1968: Harwich – Rotterdam, the service to Antwerp being terminated at the end of May. October 24th 1969: Transferred to Holyhead – Dublin. 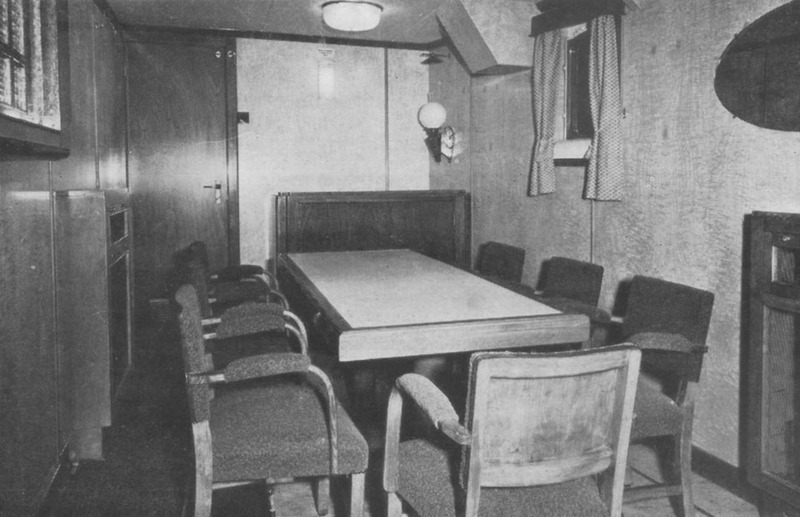 January 31st 1972: Transferred to Heysham – Belfast. 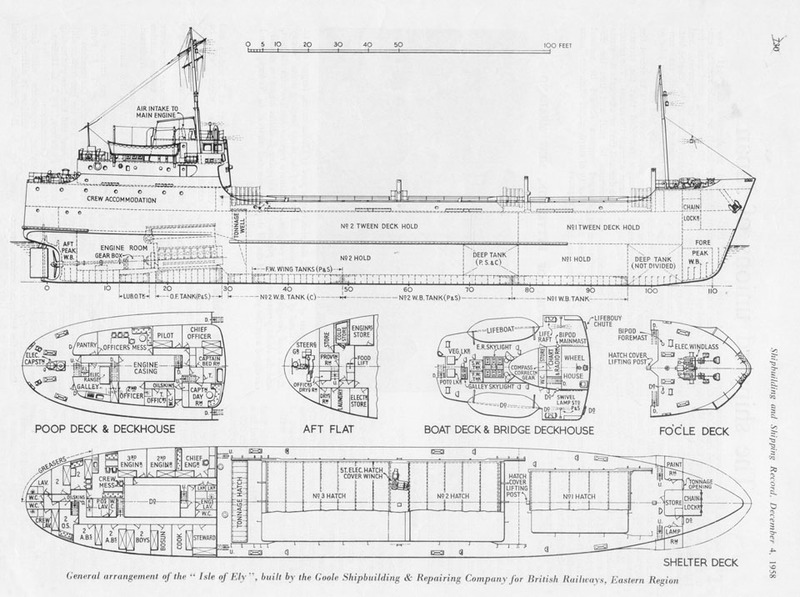 July 11th 1973: Last trip Heysham – Belfast. July 11th 1973 – August 5th 1973: Laid up. August 20th 1973: Transferred to Fishguard – Waterford. 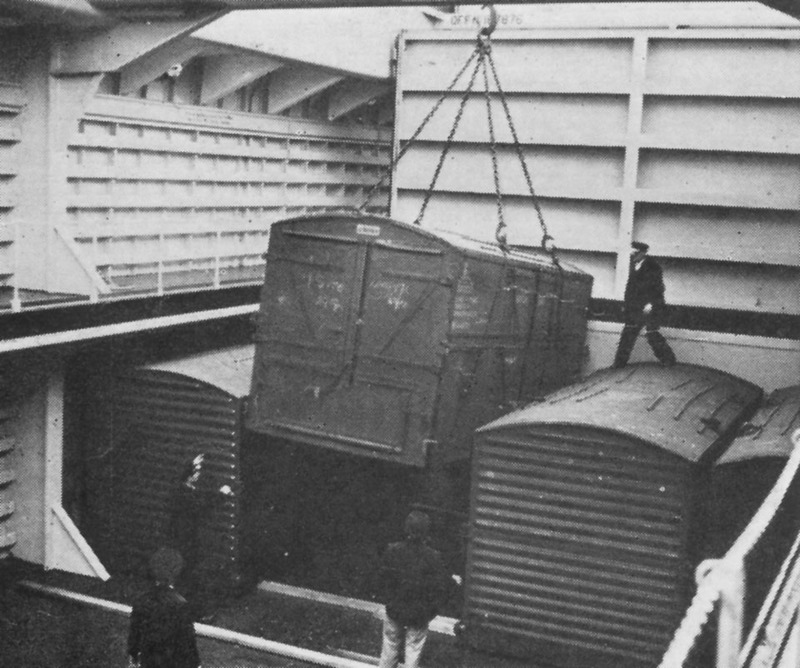 November 8th 1975: Last trip Fishguard – Waterford. 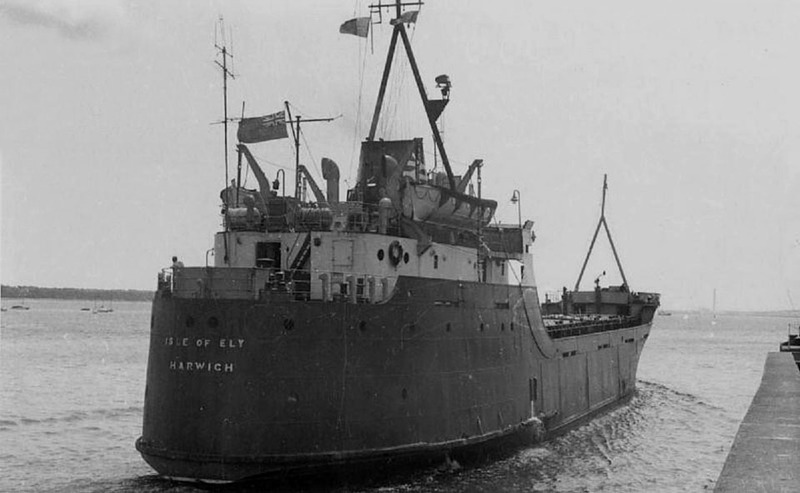 November 12th 1975: Transferred to Harwich – Dunkirk. 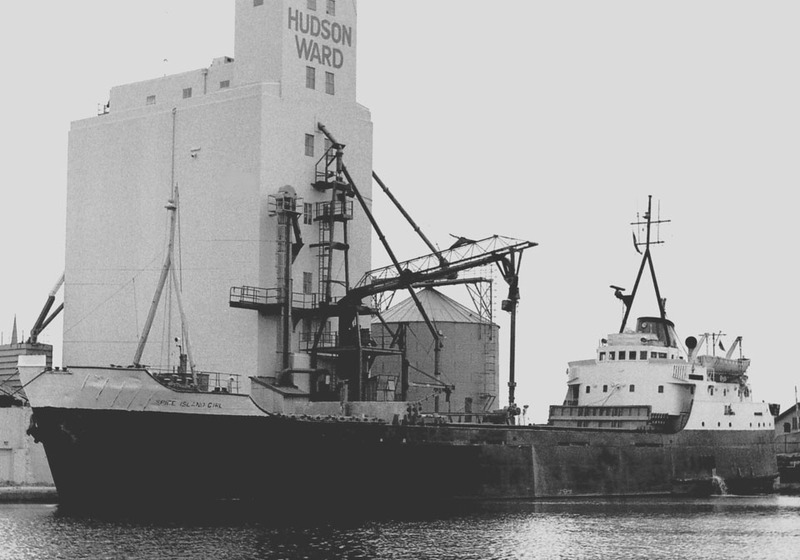 December 8th/9th/10th 1975: Sailed Harwich to Barrow for lay-up. 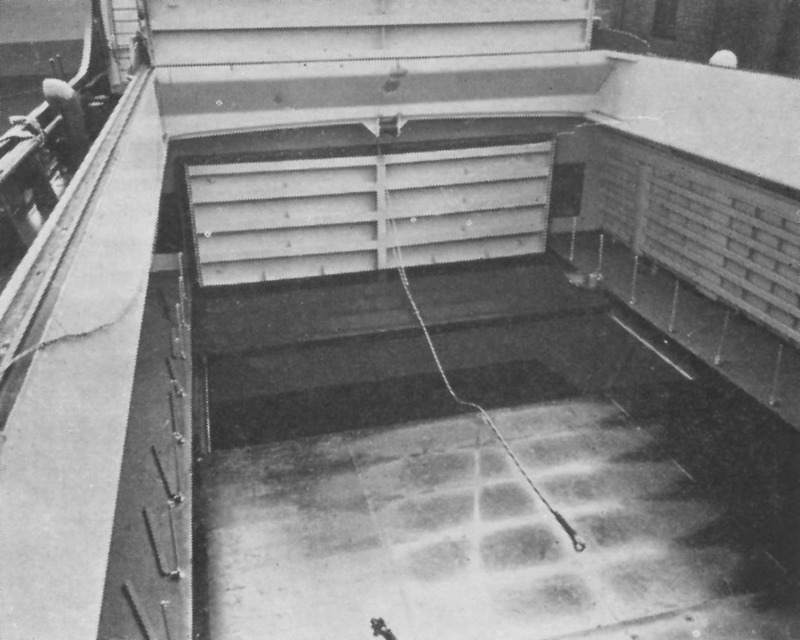 1978: Reverted to a cargo ship. 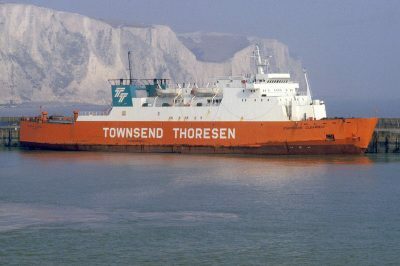 1980: Sold to Annandale Trading & Finance Inc.
March 29th 1982: Laid up at Portsmouth. September 1984: Sold for scrap. All information is believed to be correct and no responsibility is accepted for any errors or omissions. All items included in this article are subject to © copyright. We would like to take this opportunity of thanking: “PWR”, Bob Scott and Andreas Wörteler for their assistance in producing this feature.